An appreciation of artistic expression is fundamental to a liberal arts education. 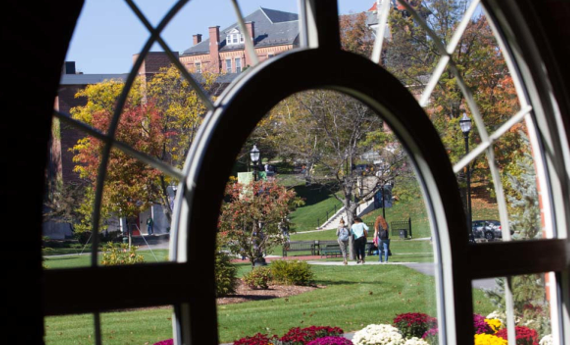 Central to life at Saint Anselm are the Alva de Mars Megan Chapel Art Center and the Dana Center for the Humanities. 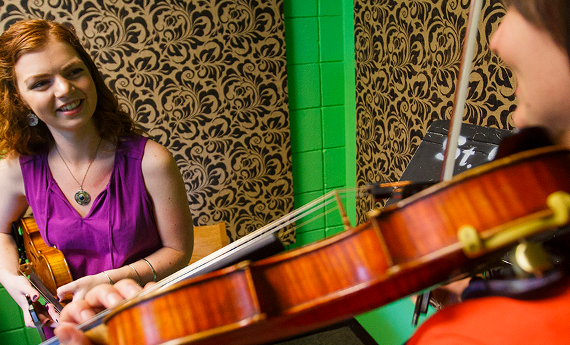 These two institutions complement classes in humanities, music, drama, and the visual arts. Great shows and conversations occur in the Dana Center for the Humanities, where dozens of performances are presented annually, ranging from classical drama to hip-hop. It is also home to the Anselmian Abbey Players, the college's drama group. Offering plays and musicals throughout the year, the Abbey Players provide students with the opportunity to learn all phases of theatre production. The Alva de Mars Megan Chapel Art Center is an artistic gem. 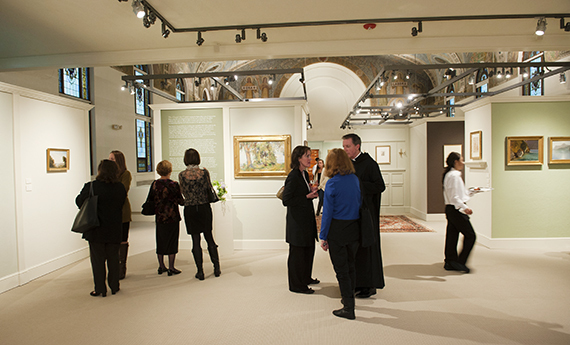 Formerly a chapel, the gallery houses the college's permanent collection, offering a series of exhibits and cultural events throughout the academic year. Art and culture does not end there; the Saint Anselm College Choir has won local renown for the quality of its music. We have an art club, jazz band, and music society. Residence life sponsors a residential learning community devoted to the arts, and throughout the year artists and authors visit campus to speak to our students. 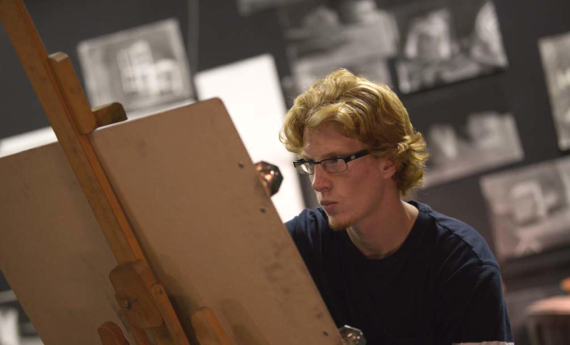 Art leads to a richer understanding of the human experience and at Saint Anselm you'll find opportunities in and out of the classroom to enhance your college experience.